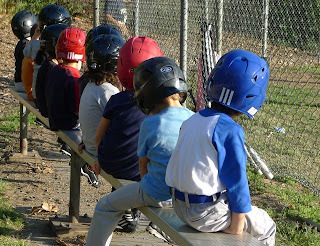 "Are you excited about your first t-ball practice, Buddy?" "Yeah. I think it'll be super fun." "I'm really fast at running, so that's good for t-ball." "I'm sort of a tough guy now." Then I tied the tough guy's new cleats and we left for the field. Oh, mama. Bless these days. They will go so swiftly. Tough guys have all the fun. Back from vacation now, and getting caught up. But I have missed my friends, Bob and Lisa.